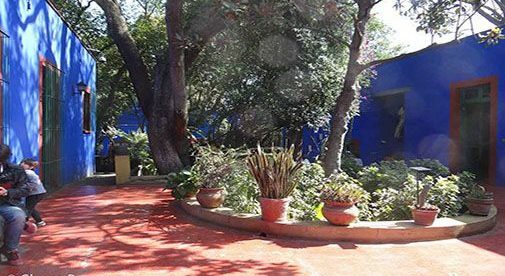 The courtyard of the Frida Kahlo museum in Mexico City. In the last few years, a slew of travel publications have put Mexico City on their “must-see” list. Those of us who live in Mexico simply ask ourselves what took them so long: Hands down, Mexico City is one of the most vivid, exciting cities around. And with the current favorable exchange rate, it’s a bargain. This city is definitely one of the pluses to living in Mexico. And I defy you to spend a day here and not fall in love with it. I recently made a quick trip down to the DF—the Distrito Federal, or Federal District, as the capital is often called—to get my big-city fix. Here are a few highlights…and a few reasons why Mexico City should be high on your list, especially if you think that Mexico may be your dream destination. First, it’s hard to hate a place that is warm and sunny in January. By late morning, when a friend and I made our way to Coyoacán to visit Frida Kahlo’s house (now museum), the Casa Azul, the weather was sunny and shirt-sleeves warm—no wonder gardens stay so nice and green. The Coyoacán market is a popular place for lunch. We couldn’t fault our treatment at the Casa Azul, either. While we waited our turn to enter…about 30 people back from the head of the line…a young woman came up and asked us our ages. When my friend—a tourist on a birthday trip—confessed to being over 60, we were whisked to the front of the line…and then paid the ladies’ senior entrance fee of 15 pesos (about 80 cents). Mexico City has plenty of fascinating neighborhoods, including chic Polanco and trendy Condesa and Roma. Coyoacán, outside the center and today part of greater Mexico City, still manages to have the tranquil, neighborhood feel of the village it once was. And its market—colorful, varied, and enticing—is one of my favorite places for a quick lunch. A couple of tostadas, heaped with the topping of your choice, makes a filling lunch. Modern Mexico City is a land of skyscrapers and office blocks. All kinds of seafood, meats and chicken, mole sauce or tinga…the selections are almost endless. Throw in an agua de fruta—a fruit drink—apiece, and lunch for two runs about $10 or $11. 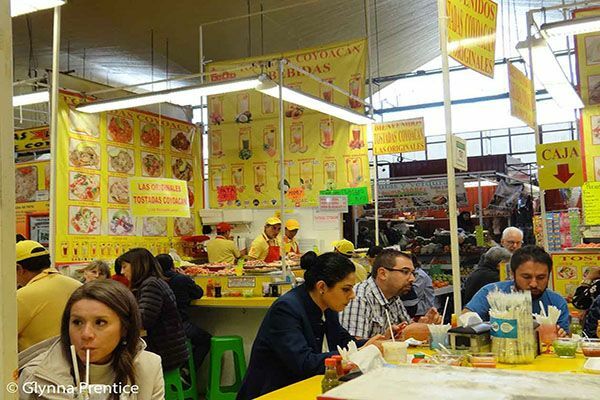 Mexico City is rich in traditional markets…and each market seems to have its fans. So if you can’t get to Coyoacán, find whatever market is nearest and check it out. Of course, part of Mexico City’s appeal is that it is both modern and ancient. 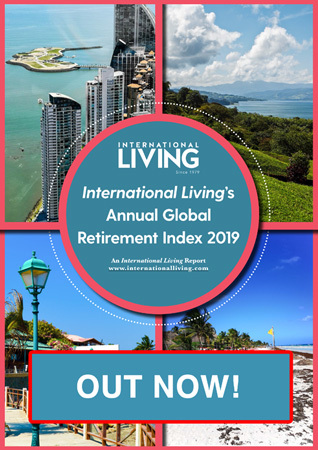 You can enjoy all the 21st-century amenities, yet savor a multilayered culture that has been centuries in the making. 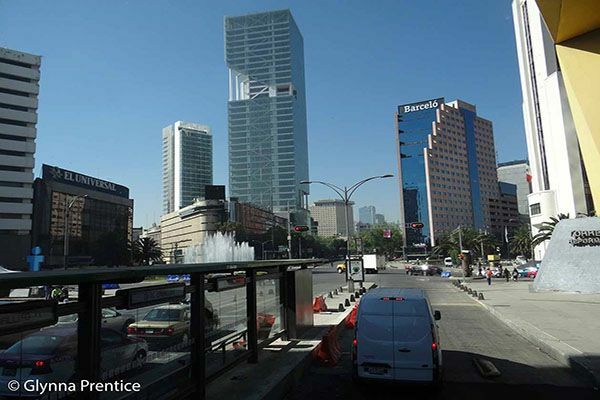 Take a ride down the Avenida Reforma, with its skyscrapers and businesses, and you’ll see the 21st-century side of the city. This is the commercial heart of the world’s 15th-largest economy (Mexico aims to make the top 10 within the next decade or so). The ruins of Tenochtitlan can be seen today in Mexico City. 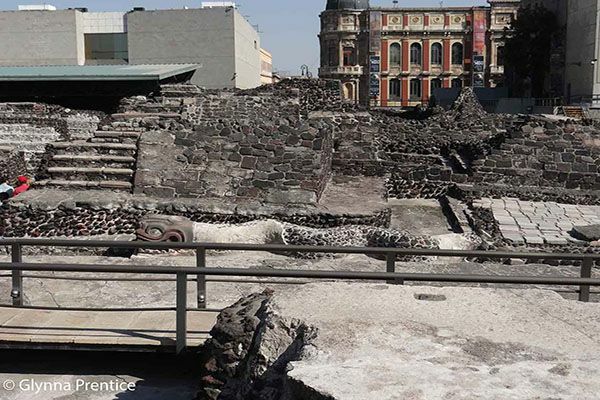 Return to the centro histórico and you can gaze on the ruins of Tenochtitlan, the ancient capital of the Mexica culture, which Hernán Cortéz and his men found in 1519. Set in a lake, with long causeways connecting it to the mainland, Tenochtitlan at its peak was the largest city in the Americas. Estimates put the population then at 200,000 to 300,000—five times the size of London under Henry VIII. Today Mexico City, built atop Tenochtitlan, is still one of the world’s largest cities, with an urban area of over 20 million. You could easily spend a lifetime exploring it. But start small and savor it….there’s plenty to enjoy.